But it’s a good creepy. 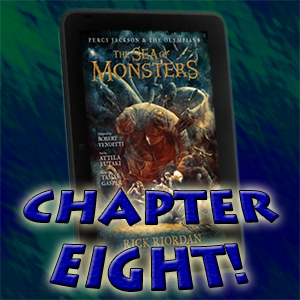 I mean, yeah, given the genre it’s unlikely that Percy, Annabeth, and Tyson were going to have their skin ripped off by giant deep-sea worms, but the atmosphere does turn the screws. At first I was disappointed when they so quickly ran into occupants in the morning, but then THAT got creepier with their hypno-zombie intonations. We zipped along with the wind in our faces, speeding through the waves so smooth and steady I hardly needed to hold on at all. That, coupled with Tyson’s joy in not only finding some horses that weren’t afraid of him but also one with which he could bond so quickly, made for a great scene. Plus, harpies! Pardon me while I triumphantly wiggle my bum because something I predicted came true. And, oh, yes, the thing I was wrong about: Luke showed up! Prior to the midpoint of the book! (Dangit, he ruined my whole point spread.) I could argue that we’ve only heard him, rather than seen him, but I won’t split hairs. As to what we hear, Luke mentions that someone will “take the bait.” Is he talking about Percy and the gang? Is Fleece really a trap? Elaborate trap, if true. I’m still skeptical. I guess I’ll find out. Perhaps I’m simply obstinate. One final thing in this main section here, which I found myself thinking about when Percy thinks he hears voices outside the door in the middle of the night, but figures it’s his imagination: Percy needs to learn that when he THINKS he sees or hears something, he needs to stop dismissing it. …Although given the law of narrative economy, the book does only mention things like that when it does turn out to be relevant, and for all I know he could be noticing things left and right that actually do amount to nothing and those just don’t get mentioned. Now I know why Percy’s mom named him after one of Zeus’s kids: The original Perseus was one of the original heroes who got a happy ending. Grover’s pretty good at the whole “bluff the monster” thing. What’s that you ask, Kronos? What has Poseidon done to show Percy his appreciation lately? Well, um, he DID send those hippocampi just an hour ago. Pay attention! Someone named Agrius is talking with Luke. There’s a couple of guys by that name in mythology. (One of them was overthrown by Diomedes, which gives me an excuse to mention that A Shadow in the Flames has a guy named Diomedes, too. Though that Diomedes is just a mid-21st century cyber-assisted gun for hire.) I’m guessing this particular Agrius is likely the giant, however. Come on, I dare you not to smile at that. I frelling dare you. 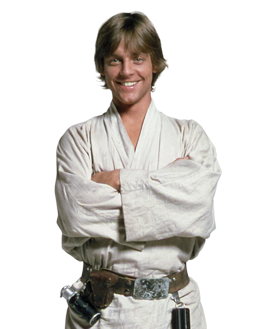 So the gang is going to try to capture Luke, bind him in chains, and drag him to Olympus. I think they should beat him with the chains a bit, first. Ya know, for science or something.